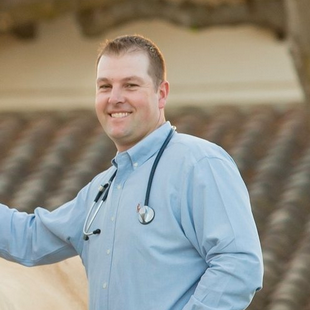 Dr. Carter Judy is a gifted equine surgeon, with referring veterinarians from across the western United States sending horses to Alamo Pintado Equine for Dr. Judy's surgical expertise. A world-renowned authority in equine MRI, Dr. Judy has the unique ability to expertly diagnose then surgically repair a patient's injury, resulting in lesser time from diagnosis to treatment and a greater opportunity for success. Dr. Judy has been a vital part of the team at Alamo Pintado Equine for over 20 years as a boarded surgeon, trained at the prestigious UC Davis School of Veterinary Medicine. Dr. Mark Rick brings a rich history and deep experience to our surgical patients. Dr. Rick completed his surgical internship and residency at the esteemed UC Davis College of Veterinary Medicine, and has been with Alamo Pintado since its earliest days. He has performed thousands of successful surgeries over more than 35 years, providing the high-level healing capabilities of an experienced and skilled surgeon. Dr. Rick is incredibly dedicated to his patients and their owners, and his greatest joy is returning a formerly sick or injured horse to its owner now on the road to recovery, health and performance. Alamo Pintado designed a custom warm-water recovery pool to ease the transition as surgical patient come out of anesthesia. It allows for horses to wake up from surgery in a warm, weightless and tranquil environment, while minimizing stress and movement. Past the results we are able to achieve in surgery, the care that our patients receive post-surgery is a vital part of their recovery process. Surgical patients are monitored around the clock and provided with dedicated care to ensure that they are given every opportunity for a full and vital recovery.